So that’s a wrap…. 2014 season is over and I couldn’t be happier with how it ended. In early September I was selected in the 6 member team for Australia and Saturday raced the World Championships. Our team leader Tiffany Cromwell had a brilliant and patient ride to sprint to her best ever World Champs result of 5th. I had full belief in Tiff’s form and potential leading in to the race and was committed to my support role. I had a great race especially in the final two laps attacking and covering moves to allow my teammate prescious conservation for the final. On Saturday I’m proud to say we were incredibly close to putting rainbow stripes on a green and gold jersey. It didn’t happen but what people saw in the race gave them faith and confidence in Aussie Women’s cycling and what we’re capible of doing together on the world stage. The influx of measages and accolades has been overwhelming. With more people understanding the art of bike racing it’s an incredible feeling to have the pride of a nation at your back even without standing on a podium. Looking at my season, whilst a podium this year would have been quite nice, having perspective and honouring the process behind every action or arrival is paramount. Where did I come from and what did I manage to pay with the hand I was delt. More often than not that’s the first race to win and the one that matters most. Coming up when you’re down, rising to a challenge, beating the odds. It’s no secret that my cycling career has been interesting, eventful and at most times simulating a wild rollercoaster ride. Perhaps I’ve become accustomed to the inertia but this I was determined to use the gut wrenching disappointment of last years horrible injury run, this year’s car hit and subsequent misfortune to my advantage. Learn from it, accept the uncontrollables, embrace the journey and be better. I think the simple formula may have worked. I came into the August race block with only 13 race days since September 2013 but knew that if I out everything in to this intense 20 day race block I could come out well. I took opportunities and worked for those of my teammates. I was 10th and 12th in stages at Route de France, 5th overall at Trophee D’or, 4th in ITT there and at Tour L’Ardeche. I stayed grounded and fixed on the goals of pivotal August / September racing, making team selection and importantly not arriving at that point but being ruthlessly focussed on ultimately performing at Worlds. My incredible support base is a powerful fuel. While battling the twists and turns of the past two years I’ve had relentless support from many who inherently believe in my ability, courage and strength. From the bottom of my heart I thank each and every one of you. Time for rest and refuel with family and friends in Australia before jumping right back on that upward rising curve! 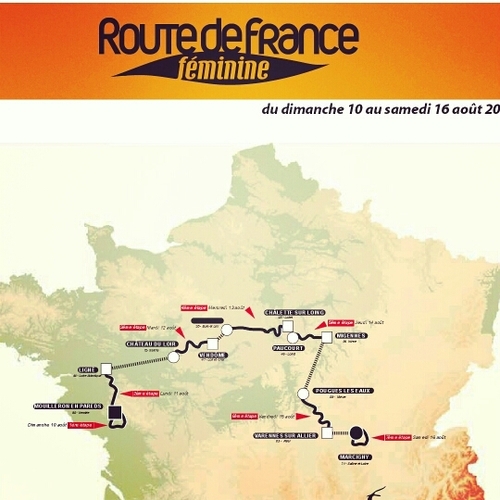 La Route de France starts today…. 7 stages, 7 days across France racing with the Aussie National Team. Follow via twitter @rachneylan for my daily updates! LA COURSE – CE SUCCÈS! Sunday was a special day in Paris! We were granted a race by the ASO, the Tour de France. One of the largest sporting events world wide. It was an incredible day and everything I had dreamed of. It was not just a bike race but a huge and unique opportunity to show a global audience a womens bike race at the highest level. I was primed mentally and physically and had a great day on the bike being active in many critical moves during the race and a solo breakaway attempt with three laps to go, second to World Champs 2012 all round one of the best days on my bike ever. The feeling of having crowds behind you on the streets via social media and viewing at home was humbling and uplifting, an incredibly proud feeling. It adds a special element, foreign, but shouldnt be. It brings what we do to the peoole who love cycling, love sport, love big dreams, love seeing the world change / progress for the better and ultimately those wanting to show their little girls equally what one day they can do too. Thank you to Cycling Australia and my team mates along side me for the opportunity to race in the green and gold. To be recognised and cheered on by roadside fans along the Champs was a memorable moment. Thank you to Marianne Vos, Kathryn, Bertyne, Chrissie Wellington and Emma Pooley. Four women who less than 12 months ago put together a movement for change and proposed a women’s race at the TDF. Thank you to the global media who have enjoyed capturing not only the race but the significance of the event, change and progress in our sport. Finally thank you to the UCI and the ASO / Le Tour for the green light. I imagine we put on a showcase you are proud of and this is now a small but pivotal step to bigger and better things! The wings of change have arrived in Women’s Cycling! For the first time in history we will have a race named La Course hosted by Le Tour on the final day of the tour de France on the Champs-Élysées just hours before the men roll in to their iconic finale, central Paris. Our race will be broadcast to the world. The TDF as a whole attracts a worldwide television audience of approximately 3.5 BILLION people, through 188 countries across 121 television channels! This is a game changer for our peloton, an opportunity to showcase our sport to the world – fans and potential investors, who at present merely get a glimpse of what women look like on bikes. Sometimes the sets just come rolling in – you are on top, riding each wave in succession, in control, flying effortlessly. Other times the wash churns, you are dumped by the small angry ones, caught in the riptide. That is the very nature of nature of a professional athlete’s life, a life that is unpredictably unique. It is no secret that things have not gone smoothly here in the past 18 months since the 2012 World Championships. Major oral surgery, a season-ending knee injury last year and being hit by a Range Rover on a training ride in February. Enough said! The opportunity I have had to learn how to ride the rough waves – and find the delightful barrel through the middle, staying upright and focused on light ahead. Embracing this as part of the thrill, the adrenalin and satisfaction of the ride. On a normal day the pro cyclist is pushing out watts solo up a mountain, going to bed early, living a disciplined life oriented towards one’s ambition. Podiums, TV cameras, and glistening medals represent small and infrequent moments. If we don’t embrace the rough and tumble of the ride, so much of what can be a spectacular journey is missed. We learn little when things go perfectly. We thrive from the curveballs, twists, turns and ultimately triumphs over ugly, unwanted circumstances – challenged to stop, think, feel, act and change. This gives life to new and alternative stimuli, a catalyst to transform any given situation. Self-instilling the capacity to turn life’s obstacles into opportunities is what being an athlete, and more importantly, being human is all about – a life skill to be learned, trained, practiced and cherished. Accomplishing each challenge amalgamates, gathers momentum and one day does become glory. Being healthy and injury free, I am looking forward to some incredible opportunities for the remainder of the season, a full race program with the Australian National Team building towards selection for this year’s World Championships, my ultimate ambition in late September. Settled with a great three weeks training under the belt in Europe has kicked off my Spring nicely. Luck has been on our side this year with early spring being gloriously warm and dry – a dream for road cyclists (especially those from the southern hemisphere)! I’m looking forward to lining up in my Aussie kit tomorrow with the Jayco AIS National team for my first UCI World Cup of the year – Trofeo Binda Citiglio, in the Varese region of Northern Italy. After a somewhat rocky February I couldn’t be happier with my progress, having encountered an unfortunate accident being hit by a large vehicle while training in Adelaide on the 6th Feb – I’m considering my situation fortunate and grateful to be pinning numbers on! While putting in the long hours of preparation training in my home base of Lucca, Toscana, I never forget to embrace the sensational seasonal goodness of all that surrounds me. 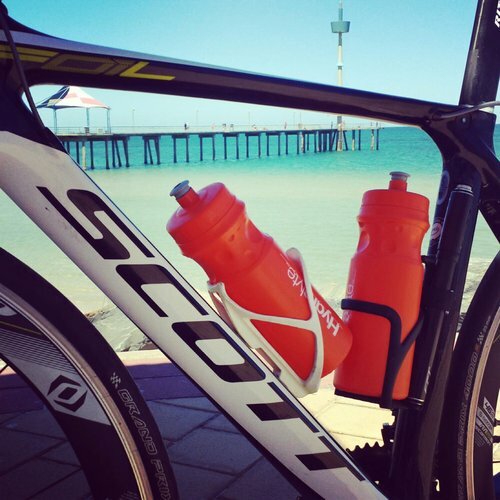 More from the road soon with plenty more racing on the women’s UCI circuit in the next weeks…..
A huge thanks to Scott Australia, via Shepard Cycles, for the support here on Aussie soil. I am proud to be continuing my representation of such a classy bicycle! In 2014 I am proud to turn over a new leaf – a new partnership with NSWIS, and head coach Brad McGee, moving forward on my road to Rio 2016. A decision oriented around best access to resources and coaching and support while in Australia supported by Cycling Australia – we all have a common goal and that is to stand on the World Championship and Olympic dais. An important part in achieving this is to put in place the best possible performance pathway inclusive of everything from coaching, testing, sports science, sports medicine, strength and conditioning. It is indeed a decision I have not taken lightly after receiving phenomenal career establishing support initially from Gary West then Tim Decker at SASI since I set foot on the pedals in early 2008.